My Early Christmas Present and Your New Tool for the New Year - Women and Money Inc.
It’s beginning to look a lot like Christmas – now that I pulled myself away from the internet and escaped to Vancouver Island to pick up my mother. Christmas magically disperses the dark-side of business and commerce and fills our hearts with light and hope. It’s almost like we’re granted permission to be generous to people by some invisible spirit of good will. Christmas is wonderful because it pries us off our computers and frees us from our cycles of predictability and circles of repetition. It reminds me how far bureaucracy has travelled and how we are dominated by routine. Sometimes to the point that the routines become obsessive. We don’t feel right unless we are chained to them. For the moment I am free. Free to sit back and take a look at what has happened and actually enjoy some of it. What brings me the most happiness is this? I’ve done it my way. Not exactly like Frank Sinatra or Paul Anka, but as a woman, a mother of two adult children, entrepreneur and now author. It’s been hard. There are always critics constantly watching and pointing fingers. We live in a competitive world of survival of the fittest even though I bump heads with dinosaurs on a regular basis. I’ve worked for so many years to promote better education for families in personal finance that I guess it makes sense I would write a book about it. This year my prodigious team and I decided to develop a series of workbooks that follow the true spirit of doing things my way. And I don’t mean literally, my way, but your way – each person’s unique way. Not some well-intentioned adviser’s way, not some bill collector’s way, not someone else imposing their vision upon us. The first workbook is now available and actually contains no advice. It’s called, Future and Estate Planning. It shows you how to consolidate all of your personal and financial information into one place. Our network of accounts, friends and family are quite complicated and if something should happen to us, this workbook will allow trusted friends and family members to get access to our personal and financial information – to give proper notices to institutions and friends. It also provides a hard copy of these kinds of details – offline – and is most useful in the event of theft of our wallets, computer or viruses that may shut down the computer database entirely. The workbook ingeniously gets us to take control of information scattered all over the place. To make an inventory and to store it in one place. I am very proud to offer this great Christmas present to the public that arrived under my tree a little before Santa. 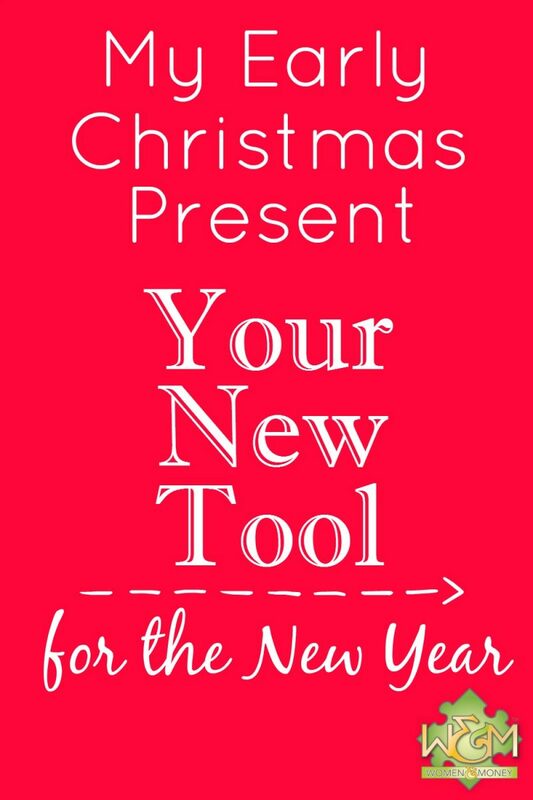 It would be an excellent aide to your New Years Resolutions for getting organized this year, wink wink 😉 You can get it for the introductory price of only $24.95 from Amazon, but hurry before the offer ends! Merry Christmas everyone. We love you all and thank you for your support. This entry was posted in Personal Finance, Women and Money. Bookmark the permalink. Both comments and trackbacks are currently closed.